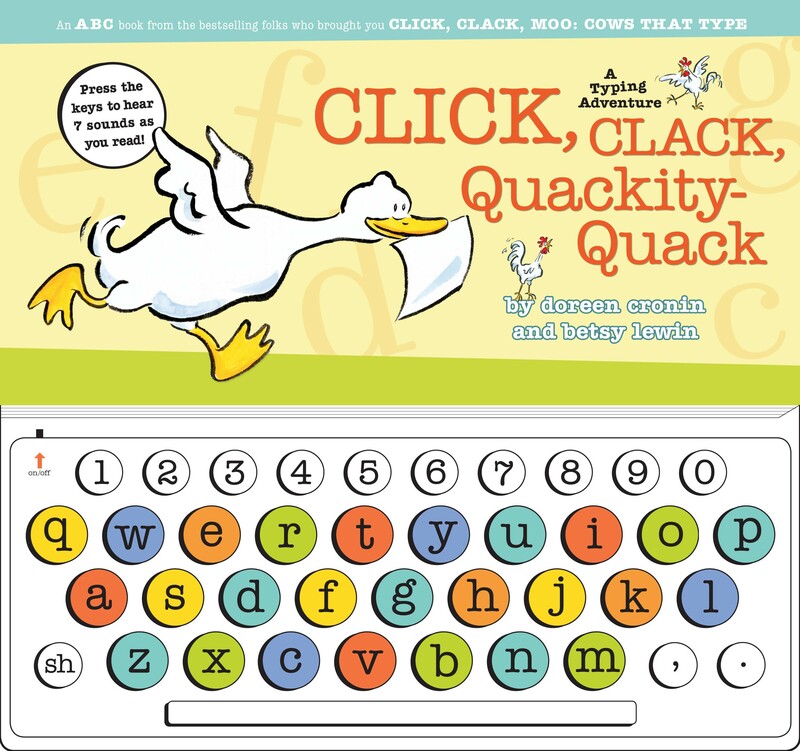 Click, Clack, Quackity-Quack is now available as a board book that includes a typewriter keyboard soundpad. While reading the book, kids can press the appropriate letters to discover various sounds as Farmer Brown's mischievous tenants lead them through the alphabet. From "ducks dashing" to "watermelons waiting," this interactive take on a best-selling classic is both educational and entertaining. This board book sits on an extended backer with a keyboard soundpad which includes 7 different sounds and an on/off switch. Safe for all ages.